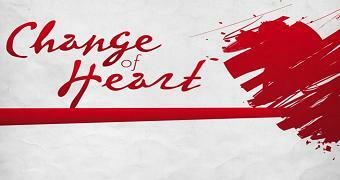 “I had a change of heart.” We’ve all heard or said these words before. It is a changing of our disposition, our perspective on a situation or person. It has happened over time, a fews days, weeks, months or even years. The changing of one’s heart does take time. And a change of heart is the prescription for us if we are to relate to each other with mutual compassion, respect and understanding. It is not enough tolerate persons, to put up with their presence while in a public setting or for a set amount of time. Anyone can be polite for appearance sake. No, this change will take us deeper into our selves. Race is often in the news and now that it is apart of the national dialogue, it is in our faces at 6 p.m., 10 p.m. and 11 p.m. But, what do we see? Do we hear a complaint? Do we see people misunderstood? Do we hear and see people at all? We can change the channel to something less irritating or predictable. We can change the laws and debate their impact. But, unless we change our relationships with each other, unless the change is in our hearts, then there’s really been no change at all. We can change buildings and move to different neighborhoods but unless we change our internal structure and check the foundation upon which we stand, we won’t be moved to love and culturally diverse relationships. Until we view ourselves as stewards and not owners of the world and each other, our relationships will be dominated by the social construct of race. This change is individual, personal and intricate to who we are as human beings. It will not be solved with the click of a button. We can not give this problem away or pay our way out of it. That’s just change. Don’t give what you can spare, won’t miss and can live without. Instead, we need a change of heart, a change of rhythm. May our hearts beat to the rhythm of God’s grace. Amen.